Collision after take-off, crashed at Poolspring, near Nun Monkton; buried in England. Probably collided with Hal MZ845/KW “J” from Tholthorpe airfield as the pilots fought to control their aircraft in severe icing. 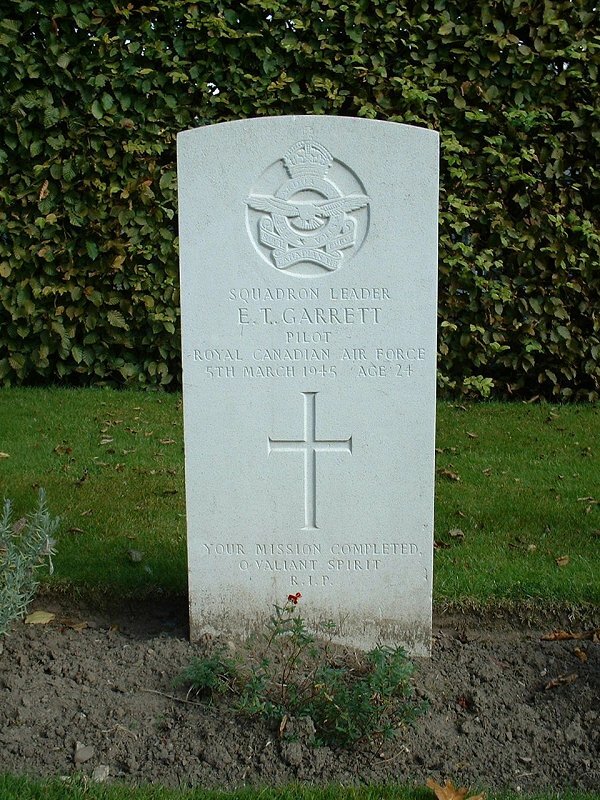 +(J/10741) Eric Thomas Garrett – 426 Sqn. Wing Commander Patriarche addressed the graduates. “This coming year is going to be an extremely tough one and there will be a tendency all through the Empire of the people to criticize those in authority. It is being done already but I hope that you here, both airmen and visitors, will have no part in it. “Make sure before you criticize that you always have a suggestion better than what you are criticizing. None of the men in political or military authority is of a lower standard than the rest of us. They have to be better men or they would not have got the job. Royal New Zealand Air Force: (414667) Albert James ‘Jimmy’ Osborne – 165/185 Sqns. ; Arthur David Leese, (414238) Alfred William Burge DFC), George T. Couttie, +(414651) Godfrey Alan McKoy, +(414721) Harry Keith Williams, +(414677) Arthur Lyall Ray, +(41430) Bruce Mackenzie Hirstich, +(413858) Maurice Carson Jolly, + (414380) Douglas Robert Bannerman, +(413875) Frederick Thomas Martyn, +(414664) Andrew George Patterson Newman, +(414278) Raymond Cyril Going, +(414321) Mervyn Jack Mills – 132 Sqn. ; +(41141) Jack McRae Brigham – 243 Sqn. ; R.R. Horo, (414330) Vincent Orr; (413924) Roger Wing; Stewart Matthews – 45 Sqn. ; Thomas (David) Stewart – 165/185 Sqns., James E. Shields, Thomas Alexander, Wallace M. Sampson, Raymond J. Hetherington, Raymond S. Campbell, James J. McMath – 110 Sqn. ; (George?) J.N. Buchanan, (414689) David Gordon Simpson – DFC 603/143 Sqns. 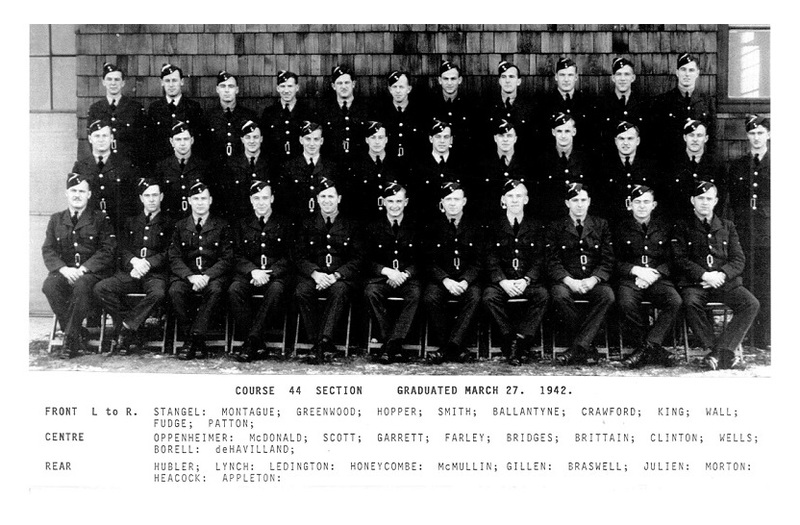 ; (414645) Jeffrey Maxwell McCarrison – 254 Sqn. ; Warren P. Bennett; (414374) William Frank Bern – 64 Sqn. Sailed from Auckland November 17, 1941 aboard the S.S. Monterey to San Francisco.